I think my life is kind of dull and mundane. A rather ordinary life. 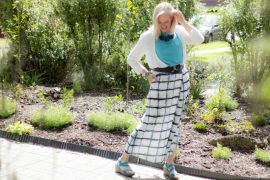 When I think about it, I’m a mum, self-employed image consultant, blogger and trainer. Have a husband, and we’re currently renovating our house. Now there is always more to do than I can fit into my 24 hours, but I try to make the most of them. 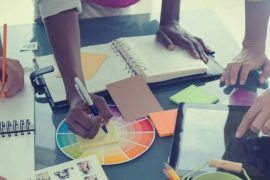 Recently I was asked by a fellow (and very experienced) Image Consultant about how I structure my days. And I realised that she has not been the only person to ask me similar questions about how I actually spend my time. My builders have also asked the same thing … they can’t figure out what I do. They see me apparently chatting to myself on the ipad (doing a Facebook Live video), and taking photos of myself int the street. The only room left in my house mostly untouched is my office. So I currently spend my days with the sounds of circular saws, nail guns, hammering and air compressors (and boy they are loud!). I’ll be sharing with you soon the results of my renovation as it’s getting close to finished (though you can find out a little about it here). I thought I’d share a little bit here, a few days, of what my life looks like. How I spend my time. And how I manage my work and family life balance (now, that’s some kind of joke isn’t it?). My work life can be basically broken down into four parts. As much as I have these four elements, these days blogging seems to be taking over my life! Though it brings some great opportunities. 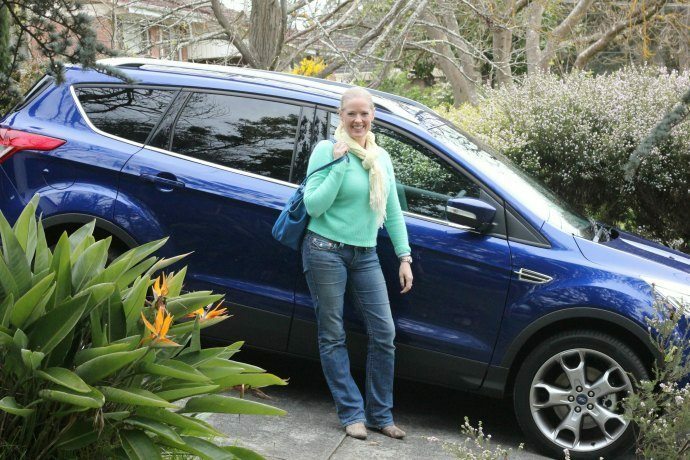 This week, one of the benefits of my blog, I was loaned a Ford Kuga to experience as I went about my day-to-day life. If I’m just spending a day in the office I’ll often opt to wear jeans in winter. If I’m out and about with clients I’ll most likely wear a skirt (or dress in summer). 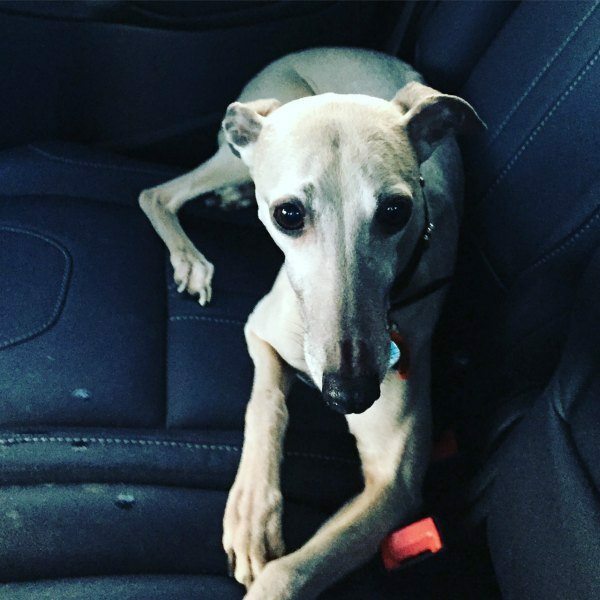 Most days I jump in the car with the kids and Cleo the whippet and drive to work (at the moment we’re in a rental house not far from our house) and arrive at work around 8 – 8.30am. That way they can walk to school from there (as it’s closer than our rental). 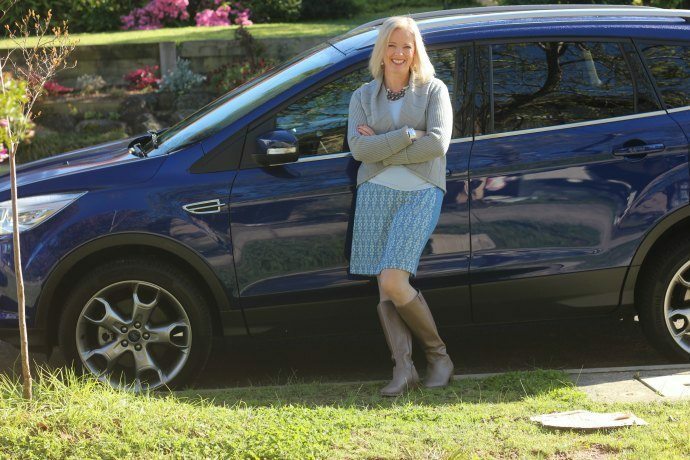 One great thing about the Ford Kuga on these cold Spring mornings is the heated leather seats (my daughter loves these so much too), to warm us up quickly. Plus they are easy to clean of paw prints (as Cleo is the first in the car every time we go somewhere these days, in fact when the Ford Kuga was delivered to my house, she immediately lept in the car and settled herself on the back seat, ready to go for a ride). Because of our renovations our garage is where the builders have their lunch, store extra wood and bits and pieces, so I have to park on the street outside my house. I’ve never had a car with reverse park assist before so I was keen to try out this feature. It felt kind of freaky the first couple of times as the car started steering itself (though you do still operate the accelorator and brake), and the kids were hugely impressed and asked me to do it repeatedly. 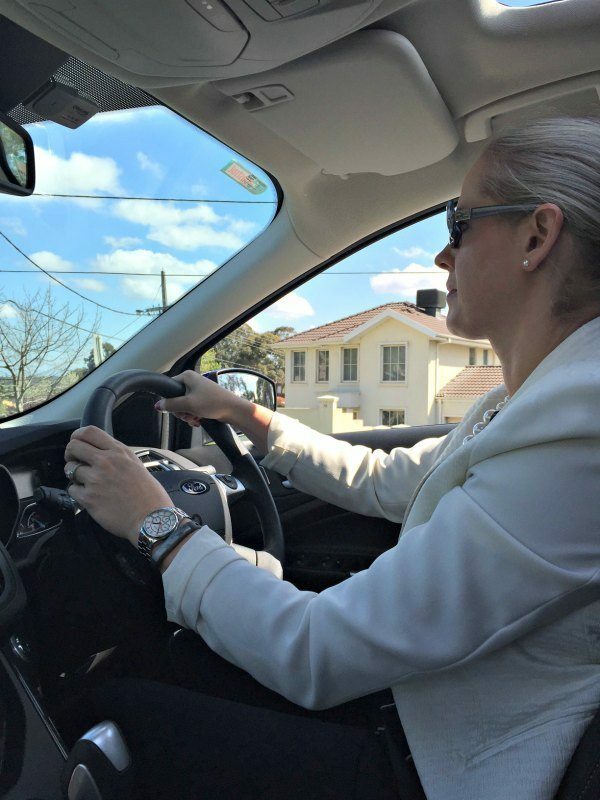 As my daughter said “the Kuga feels more like a robot than a car” as it has so many hands-free features, like how you can just press a button on the steering wheel and tell it to find an address, change the radio station or do a myriad of other functions. No more twiddling with knobs while you’re driving. Once in the office, first thing I try and do (though I don’t always manage it) is to take an outfit photo or two. Sometimes I’ll dress specifically with a blog post in mind. Now, people often comment “what a great photo you take” and they don’t see the other 60 photos I took to get the one that ended up on the blog. Sure I’ve picked up some techniques over time on how to take a better selfie (which you can read here). Other times I just take photos of what I’m wearing and then later on when I’m looking for images to illustrate a point, I’ll go through my files of photos and use an image I’ve taken at another time. I’ll then sit at my computer and get the first few items on my to-do-list done. I have a never ending, and always growing to-do list on Trello (as I used to lose bits of paper and I can categorise them more easily there). It could be writing the latest blog post, or working on my new online program (you’ll be hearing about that very very soon!). Then I will dive into the vortex that is email, and work through the hundreds of emails that have flooded into my inbox overnight (I used to get into my email first, but have discovered that I’m much less productive in a day as once in there, it’s hard to escape!). 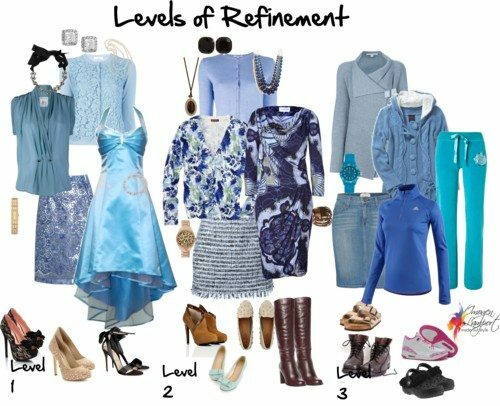 There is always blog comment moderation and answering to be done, engaging on my Evolve Your Style and 7 Steps to Style Facebook groups and my Inside Out Style Lounge too. If I’ve got more time, I’ll be attempting to write more blog posts, to schedule ahead of time (I’m not great at doing this, occassionally I get a few days in advance, but not all the time!). It takes me at least 3 -4 hours to write most blog posts, create the images (either the infographic styles, or edit the photos I take) and put the blog post together. It then needs to be scheduled onto social media too. In the process of writing a new blog post I’ll often come across an older one that needs some fixing. So I try and spend some time improving the old content too, to bring it up to date, to make it more relevant and to add some extra images if required. There is always admin that needs to be done. Invoicing clients, putting together swatch orders and taking them to the post office, printing documents required for consultations. I’ll leave the office for home around 5.45pm most evenings. Fortunately I’m not just a slave to the computer (though it can feel like that at times). At the moment it’s school holidays (and we’re having a Staycation), so I’ve got the kids home with me. 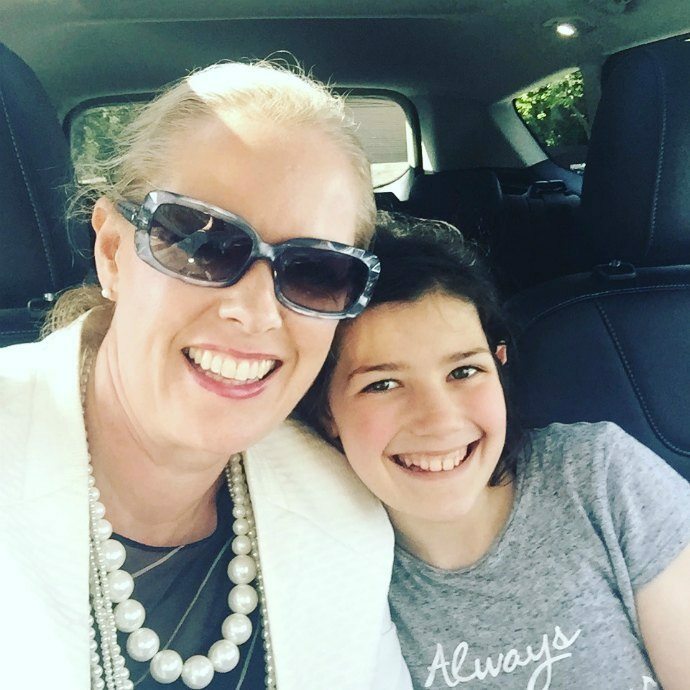 My daughter and I had a girls afternoon out last Friday and met up with friends at a local cafe before I dropped her off to her friend’s house for a sleepover. 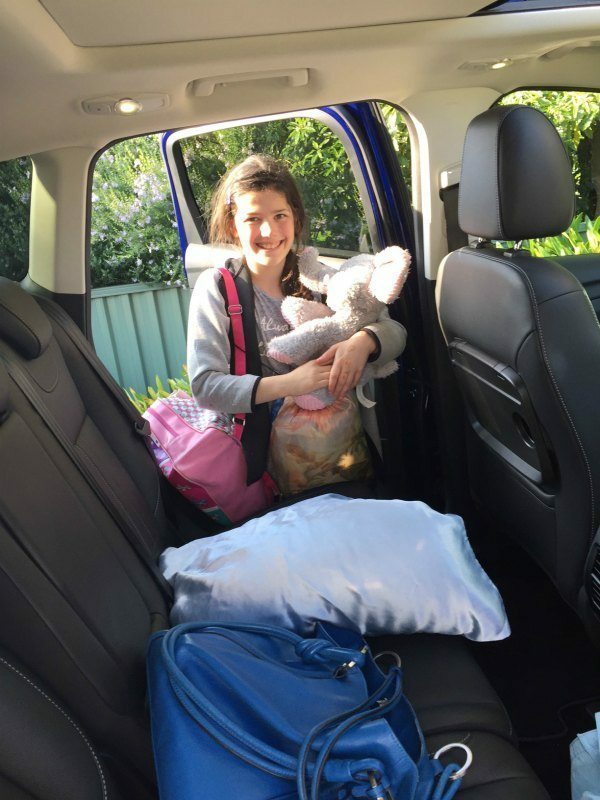 This car is a 5 seat SUV but has enough leg room to happily accommodate my 6′ tall (that’s 183cm) 14 year old son in the back seat (he of course refuses to be photographed in the way of teenage boys 😉 . There is the boring twice weekly (how did that happen… oh that’s right, a teenage boy in the family who never stops eating) grocery shopping to be done too. 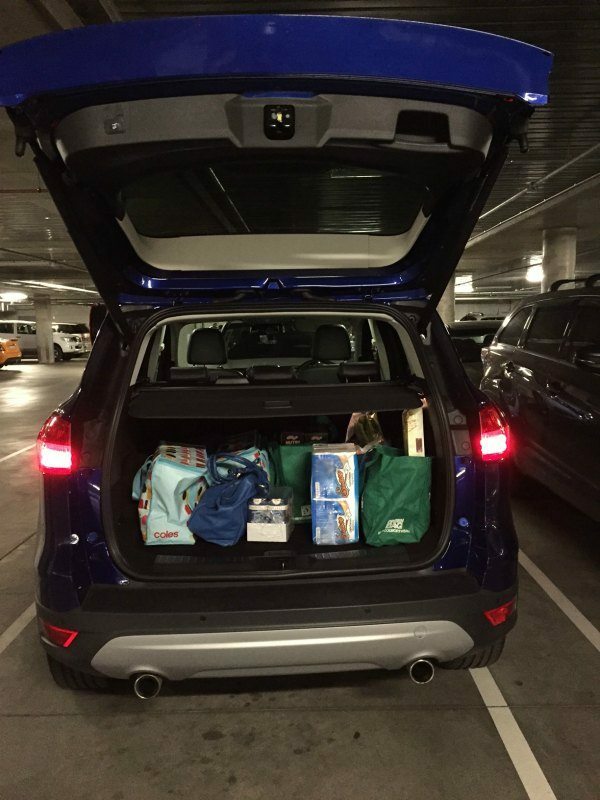 Made easier by the hands-free option of swiping your foot underneath the boot of the car so the tailgate automatically opens and closes. Particularly useful when loading and unloading the car. Because it’s school holidays, there isn’t the usual run of kids after school activities (soccer practise and games, dancing and gymnastics classes and competitions), which happens most other weeks of the year. But it’s not all Mum or office stuff for me. I also spend time each week working with my private consulting clients doing personal colour analysis, style consultations, wardrobe therapy and personal shopping trips. I love helping people discover what really does and doesn’t work in their wardrobe (I mean, that’s why I started this blog 😀 ). It’s so rewarding being able to see people really get the concepts and theory in a physical way. 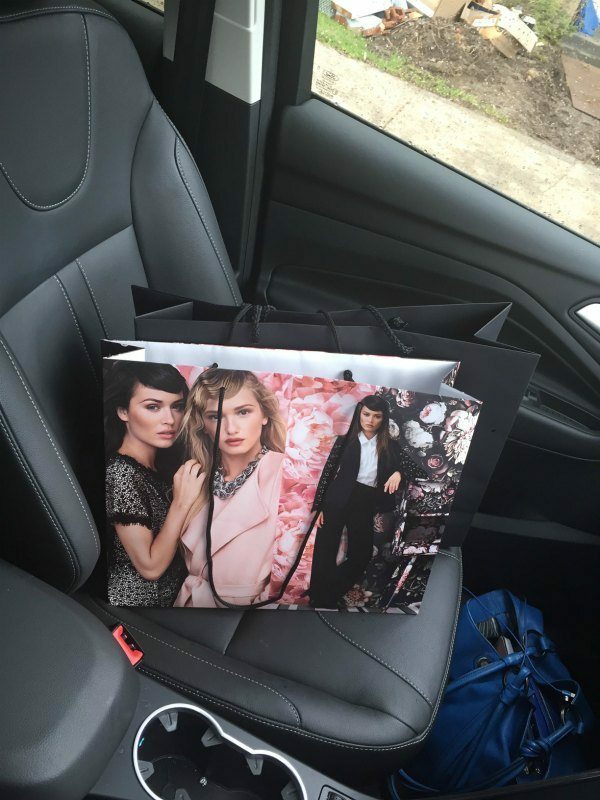 I’m never without my trusty wardrobe audit kit in my car (what’s inside the green satchel? Pins, quick unpick, scisscors, jewellery pliers, tape measure, notepad and pen, garbage bags, a birthday candle (wax is handy on those sticky metal zips), plus a few other bits and bobs that come in handy!) plus my rolling clothes rack lives in the boot of my car. Personal shopping – yes I’m calling it research! And sometimes I’ll zip into the shops when I’m out and about to see what’s out there (there is constant research on what’s available for my clients and also for the blog) and pick up the occassional new piece to update my wardrobe too. I sometimes get invited to a show or event (another benefit of blogging). My husband and I treat these experiences as a great time to bond. It’s our “date” time. 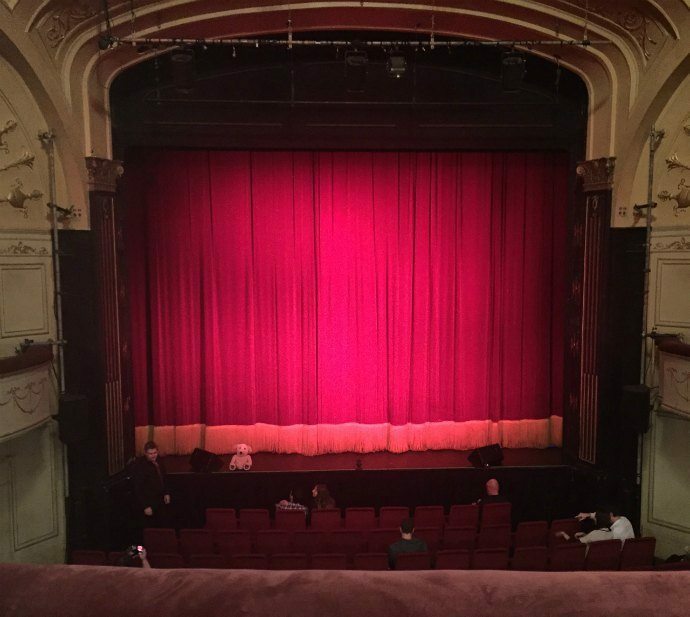 I love going to the National Gallery of Victoria or to one of the many great, gorgeous old theatres in Melbourne for a show. So for those of you who wanted to know about how I spend my time, that’s a brief overview of a few days last week in my life as a mum, wife, personal stylist and style blogger. 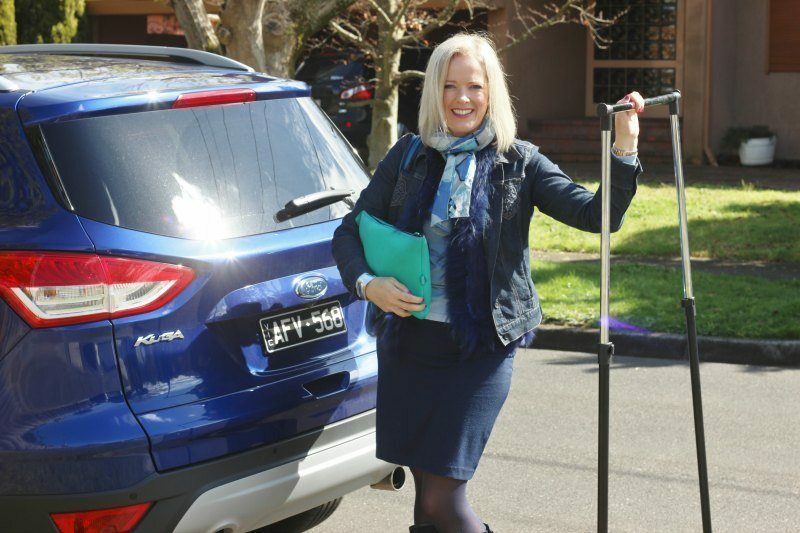 We were all sad to see the Kuga go, as Miss 11 put it “it’s the car for lazy people” as it does so much for you (it also has some awesome safety features, fortunately none of which I needed, but are great to know are available). Great post. I really enjoyed getting some insight to your day. It’s very motivating to see how much you fit in and still manage to enjoy time with your family. CLEO looks comfy in the back seat there. I thought you were getting someone to help you ! Wow you do a great job though! I do have some tech help a couple of days a week – I still do all the other stuff myself! Thank you so much for inviting us into your life. I love that you are so open and personable. It’s always helpful and enlightening to see how a successful entrepreneur spends their time. Plus, I’m now going to look into Trello. Your daughter is adorable! Love Cleo, she has such a beautiful face and she appears to love riding in cars. My car has heated seats, I love it, wish it had auto parking like Kuga. The auto parking is amazing! Cleo hated the car til we started renovating and we had to move, now she’s much more used to it and never wants to be left behind and will leap in the minute I open the door. I loved the glimpse into the “mundane” life of a blogger. But as a grandmother and former working mother, I missed the part where the kids got home from school. Hopefully, it was your supportive hubby who took care of that while you were still at the office. Oh my gosh, Imogen. That is quite a week! I loved eavesdropping on all the things you do. And it was fun to remember the added element of raising kids! Although that’s in my rearview mirror, the week is always overflowing for me too. Thanks, Imogen for the sneak peek into your busy life! Very interesting post man!Really enjoyed while reading.Thank you so much for posting,waiting for next blog post.